Tony Collins, executive editor (1989-2010), says, "I was spoilt but I was able to have freedom to do what I liked doing, largely because of the professionalism of the team. An investigative team can’t survive without having good people on the team - the reporters who do the day-to-day work to pull in readers. I had a really happy time here. Editor after editor had an appetite for in-depth research and in-depth coverage." Of course, we still do, but now it will be all online. 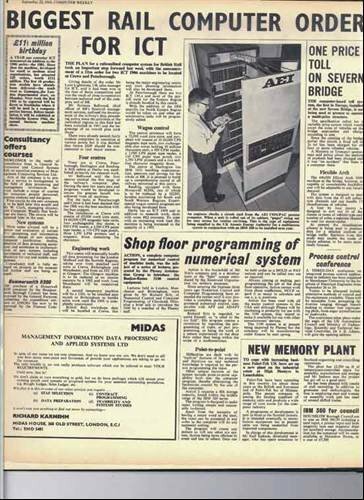 The first issue of Computer Weekly magazine in 1966 was the start of an era in the UK IT industry – the first ever weekly technology publication. When the final print edition of the magazine comes out on 19 April, it will be the start of another exciting era, where Computer Weekly goes fully digital, reflecting the dramatic changes that the internet has brought to not just our business but those of all our readers.